Patch & Tweak follows on from last year's Push Turn Move, but where the first book from Kim Bjørn's team was an exploration of design and user interfaces in electronic music, this time the focus is all on modular systems, and especially Eurorack. As such it may be what you were hoping for the first time around. While Patch & Tweak isn't the first book about modular synthesis, previous efforts have tended toward the monochrome in both tone and imagery. The fact that publishing this glossy celebration of modular is economically viable, with it's 350+ edge-to-edge full-colour pages, is a testament to how popular an interest modular has become. The closest comparison on my book shelf is the rather beautiful Stecken Schrauben Spielen, published by SchneidersBuero in 2008 as something between a book about the emerging Eurorack scene and a brochure. Like that book, Patch & Tweak manages to combine a bestiary of modules with interesting and engaging snippets of back story, comparison and usage ideas. As in Push Turn Move, the tour of concepts and hardware is broken up by a large number of interviews and patching tips from leading lights in the scene, from artists to makers, sound designers to YouTubers. 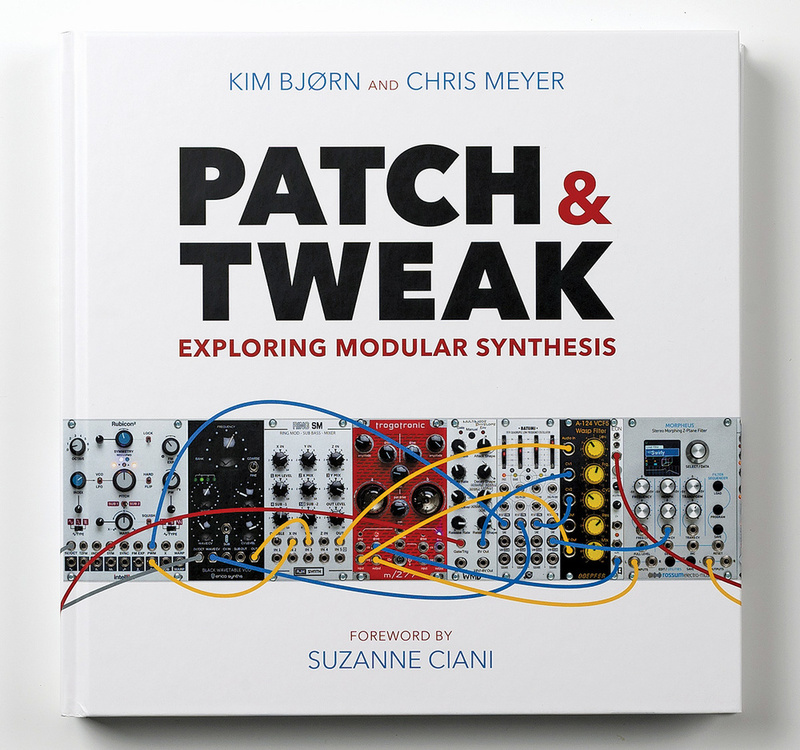 After the foreword from synth royalty Suzanne Ciani, there's a concise Modular 101 section, covering the basics of synthesis, sampling and synth architecture. Perhaps the team worried that diving straight into too much theory would put people off. I would have been happy with a bit more. Thankfully, as the book settles into its taxonomy of synth modules it continues its gentle instruction, in the context of the hardware categories. You might wonder how well patching concepts can be communicated via the silent medium of print. To aid in this the authors have revived and revised the idea of a common set of graphical icons for drawing patch schematics. They propose to 'open source' these for general usage and build a web tool for archiving and sharing patch ideas. 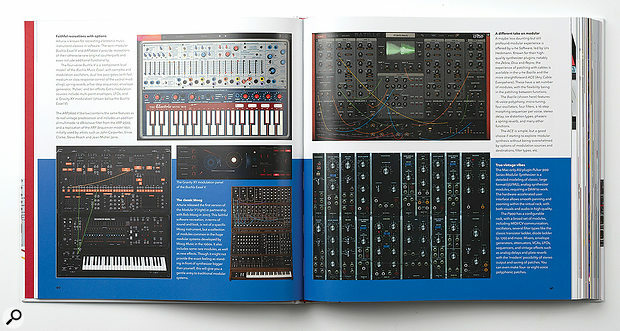 The book explains the various modular formats past and present: of course Eurorack, but also Serge, Buchla and Moog. The lion's share of the book is then a tour through the various categories of modules that make up the modular universe: oscillators, VCAs, sequencers, samplers, clocks, etc. For this, Kim and co stick to Eurorack devices. This may disappoint if you're primarily interested in one of the other synth ecosystems, but I think it was a good decision, ensuring all the wonders presented are for the most part mutually compatible, and contemporary. Much has been written before about the experiential difference between using hardware synths and their software equivalents. Ciani's foreword puts it in terms of "the way it engages both our minds and bodies". There's an obvious analogue (if you please) with the contrast of a physical book or magazine versus a Kindle, website or video. A book invites you to flick, explore, let your attention be caught, and enjoy the tactile interaction. Patch & Tweak is a great resource for beginners and modular veterans alike, and every visit to it rewards with some new morsel of information as well as the simple pleasure of browsing.